How might we create value around voting? Despite a polarizing election season in 2016, there are still many eligible voters who abstain from voting—just 53.6 percent of the U.S. population voted in the 2012 presidential election according to the International Institute for Democracy and Electoral Assistance (IIDEA). 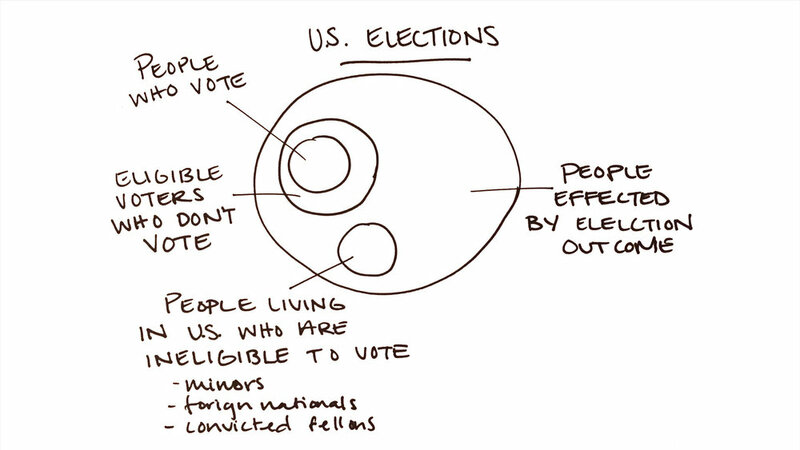 At the same time, there are millions of people living in the United States who are not eligible to vote. Take a Vote, Leave a Vote gives the opportunity for non-eligible would-be voters a way to request a vote from eligible abstainers. When faced with the decision to actively give up their voice in the name of another, will eligible voters find more value in their vote? 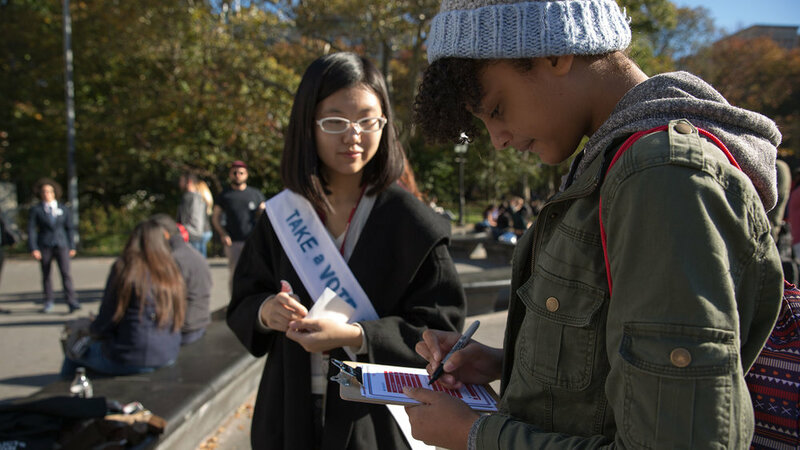 On Election Day, in front of the Washington Square Arch, the Take a Vote, Leave a Vote crew began attracting a small but steady crowd. Engaging participants in the straightforward interaction led to the start of some deep conversations about a citizen's place in American society and America's place in the world. Most were excited by the chance to give voice to the voiceless, or the chance to express their wish for election day. There were, however, some critics who raised provocative points about personal obligation to vote for oneself. In the end, a theme in the responses emerged: American citizens have an obligation to consider the billions of people who may be affected by the outcome of their choice—whether they vote or not. American citizens have an obligation to consider the billions of people who may be affected by the outcome of their choice—whether they vote or not. As a deliverable for the Design and Politics class at Products of Design, TAKE a VOTE, LEAVE a VOTE was researched, ideated, prototyped, and iterated over the course of two weekend workshops and executed on Election Day, 2016.